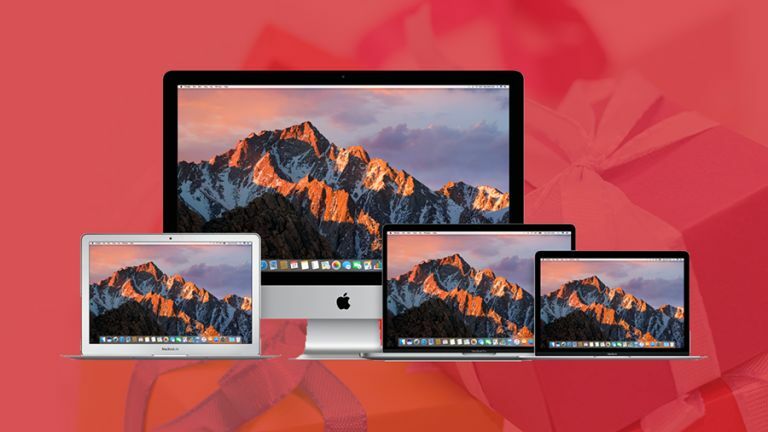 Christmas is coming and you (or someone you know) might have a shiny new Apple computer on your wishlist - with the new MacBooks, the older MacBooks, and several desktop machines to choose from, how do you pick the right one from the pile? Don't panic, because we're here to keep you informed and show you the pros and cons of each computer Apple currently sells on its official website. If you don't need the power of the newer MacBook Pros but do want something even lighter and more portable, pick the MacBook, which Apple refreshed last year and bumped the specs on this year. Prices for the 12-inch, 0.92kg laptop start at £1,249/$1,299. That's the same as a cheap, last-generation MacBook Pro (see below) but you're paying for portability rather than power. If you don't do any serious video or image editing, then this should have all the oomph you're going to need, and you'll barely notice that it's there. If you want the latest and greatest Apple laptop, this is it - you can choose from more portable 13.3-inch or more powerful 15.4-inch models, and Apple's new fangled Touch Bar keyboard strip is included (you can opt to leave it out on the cheapest 13.3-inch model). By all accounts these are very nice machines indeed but Apple has copped some flack for only including USB-C ports and a headphone jack, ditching DisplayPort and an SD card slot along the way. Prices start at £1,449/$1,499 but save some money for dongles. Apple's last-generation MacBook Pros are still on sale, but they're starting to show their age now. Again you can pick from 13.3-inch or 15.4-inch sizes and might be worth considering if you want to save some money and still have plenty of ports to work with. The poor old 13.3-inch MacBook Air - once at the cutting edge of Apple's laptop portfolio, now just a forgotten model gathering dust... which of course means you can pick one up pretty cheap. It also beats the others in terms of battery life, lasting up to 12 hours. There are downsides: it's not as light as the new MacBook nor as powerful as the new MacBook Pro, and you don't get a high-resolution Retina screen. It can still run Apple's latest and greatest apps though, and is currently the cheapest Apple laptop you can buy. If you prefer an all-in-one desktop Apple computer, it has to be the iMac, although the line hasn't been significantly updated for a couple of years now. New models are rumoured to be on the way in 2017, so bear that in mind if you're thinking of picking one of these up. What an update it was though - the 27-inch Retina 5K iMac has a screen that simply has to be seen to be believed. If you prefer money in your pocket rather than extra pixels then opt for the 21.5-inch 4K model, which will cost you around £300/$300 less than the larger one. That 4K model appeared last year but the model it replaced is still available for a very reasonable £1,049/$1,099. You only get a 21.5-inch screen, and ageing hardware components, but like the MacBook Air it's one for the price-conscious to weigh up. The most powerful and expensive computer Apple has ever made, but like the iMac, the Mac Pro is suffering from a lack of recent updates (there are unconfirmed insider whispers suggesting it might get an upgrade next year along with Intel's latest top-end processors). It might not have been updated since December 2013 but it still packs one heck of a punch. It's really only going to be of interest to those making movies or with a lot of money to burn: we'd steer clear right now unless you have a very compelling reason to buy one. After that macOS Sierra experience for the cheapest price possible? Already got a monitor (and keyboard and mouse) you can use? Introducing the Mac mini, which is getting pretty old now, and isn't the fastest, but costs less than half of the other machines here. You can actually spec out a Mac mini to a pretty high level (for an extra price of course), and it's actually a perfect option for some. With no updates to its hardware since late 2014 though, it may be worth hanging on a few months to see if Apple brings out a new version. Those are all the machines you can buy from Apple's official website at the time of writing, but you can save yourself some money by taking the second-hand route and picking up a computer from eBay or somewhere similar (just read our guide to second-hand tech first). You can also buy refurbished Macs, directly from the Apple website: these are returned or demo units that Apple has checked and guaranteed, so you can save yourself some cash on pretty much any Mac in the current line-up, though availability varies over time. Which of these premium machines deserves your hard-earned cash?